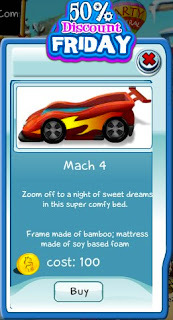 This week's 50% Discount Friday item is the Mach 4 bed. Zoom off to a night of sweet dreams in this supper comfy sports car bed. Get this item today before the discount ends later today.